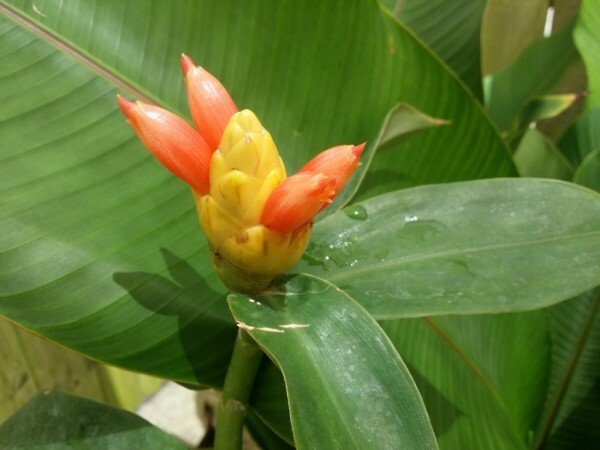 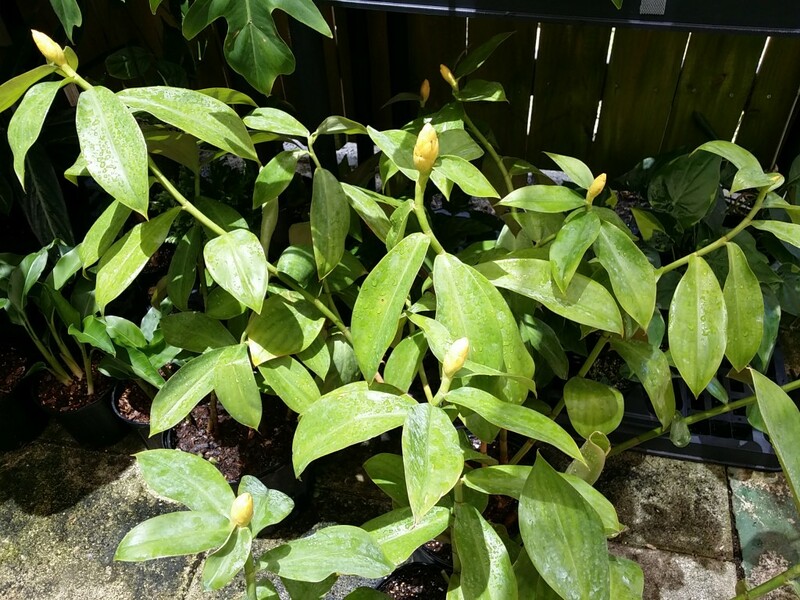 This ginger is a good grower in Florida- with canary yellow blooms that push out orange flowers. 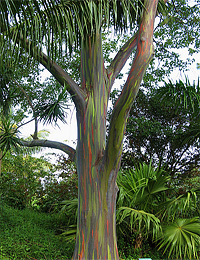 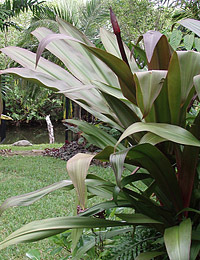 The leaves also have a pinkish-copper color to their undersides. 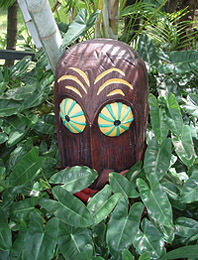 A rare species, you don’t see this one around! 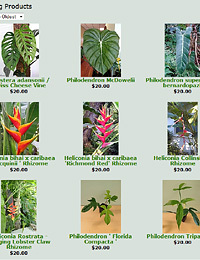 We have a limited quantity available at the nursery now. 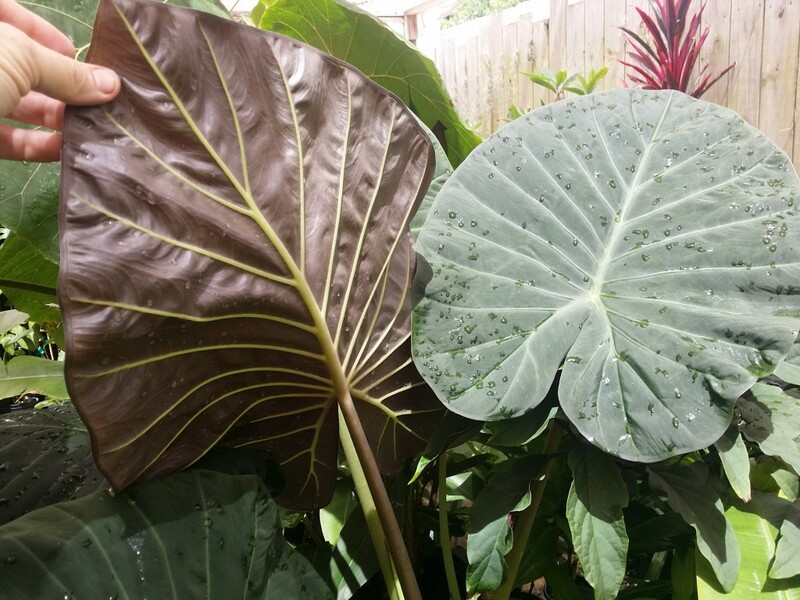 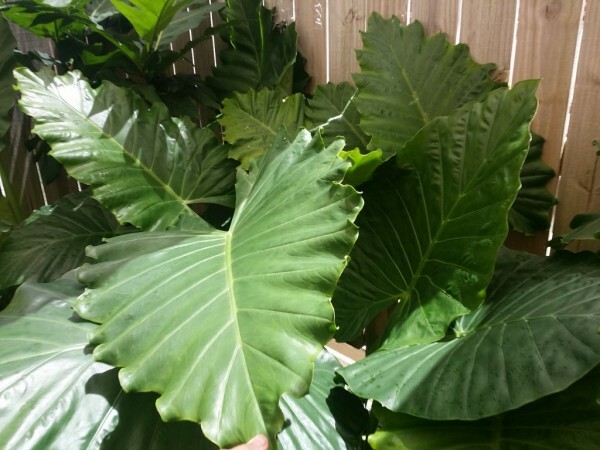 We’ve also got tons of HUGE LEAVED plants in the nursery- gigant specimens of Alocasia calidora, Alocasia portora, the new hybrid Alocasia ‘Regal Shields’ as well as the Parasol Leaf Tree Macaranga grandifolia. 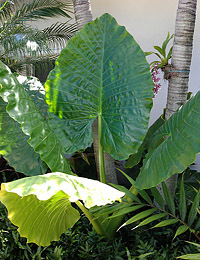 Stop in today and pick up one of these massive tropical beauties for your garden!